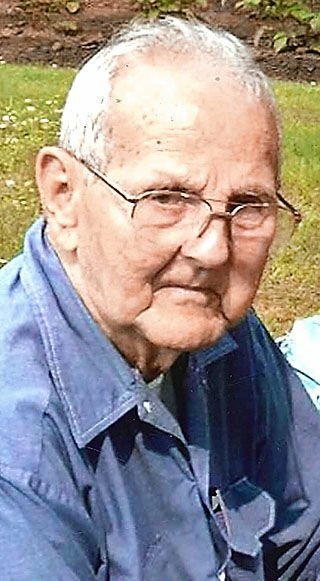 John G Thalacker Sr. age 85, passed away peacefully Tuesday, April 2, 2019 at Beehive Homes, in Eau Claire WI under the care of St. Croix Hospice. John was born on February 1, 1934 to the late Ewald and Minnie (Giles) Thalacker. One of 12 children, he was raised in Lake Hallie and attended school in Chippewa Falls. John met Mary Ann Utphall and they were married in Waterloo Iowa at St. Ansgars Lutheran church on March 19, 1955. From this union they had five children; Cindy (the late Don Stanfield) of New Mexico, Lori of Menomonie, Tamie of Altoona, John Jr (Darcy) of Woodville and Terri of Eau Claire. While Living in Iowa John was employed by John Deere. Upon moving back John worked for the Eau Claire County Highway Department and retired from the County after 36 years. John enjoyed fishing, hunting and gardening. He had a love for polka, his tractors and also his beagle pups. John is survived by his wife Mary; children and 7 grandchildren; Holly (Cory), Melissa (Dan), Adam (Alicia), Kori (Curtis), Jenna (Dan), Amanda (Trevor) and Caitlin; 10 great grandchildren, Ellie, Micah, Riley, Alexis, Brenden, Logan, Kaelynn, Kylie, Anna and Ben; he is also survived by 4 siblings; William, Wayne, Naurine and Sandra. A special thanks from our family to Beehive Homes of Eau Claire and St. Croix Hospice. As per Johns wishes, there will not be a funeral service. The family will be hosting a Celebration of Johns life at a later date.